Aluminum stocks are plunging after the United States said it would consider relaxing sanctions against a Russian company. The Treasury Department imposed sanctions earlier this month on Rusal, the second-largest aluminum producer in the world, as part of a crackdown on Russian oligarchs. 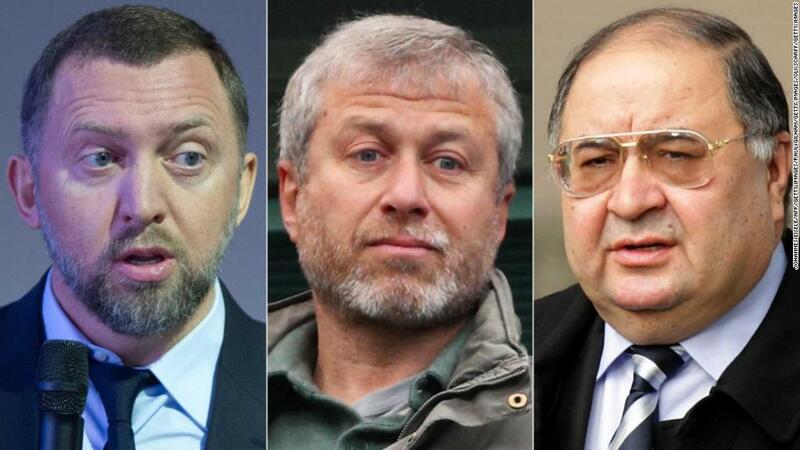 Rusal is controlled by Oleg Deripaska, who has ties to Russian President Vladimir Putin. The sanctions barred Americans from doing business with Rusal and put pressure on world aluminum supply. On Monday, the Treasury Department said it will consider easing the sanctions on Rusal if Deripaska divests. Alcoa (AA) stock lost 13.5%, Century Aluminum (CENX) 5.3% and Aluminum Corp. of China (ACH) 9.6%. The price of aluminum itself fell more than 5%. Rusal produces 7% of the world's aluminum, and the United States is its second-biggest market after Russia. Treasury Secretary Steven Mnuchin also said the United States would extend the deadline for companies that do business with Rusal to undo those ties. "Rusal has felt the impact of US sanctions because of its entanglement with Oleg Deripaska, but the US government is not targeting the hardworking people who depend on Rusal and its subsidiaries," Mnuchin said in a statement. Companies will have until October 23 to untangle themselves from Rusal and find new providers of aluminum. The Treasury Department's announcement "gives the aluminium market much-needed breathing space" and the extension will "allow for an orderly transition in the market," Wood Mackenzie analysts wrote in an email. — CNNMoney's Alanna Petroff contributed to this report.